Jessying - Malaysia Beauty Blog - Skin Care reviews, Make Up reviews and latest beauty news in town! : Stay Hydrated and Stylish with Aquabook! 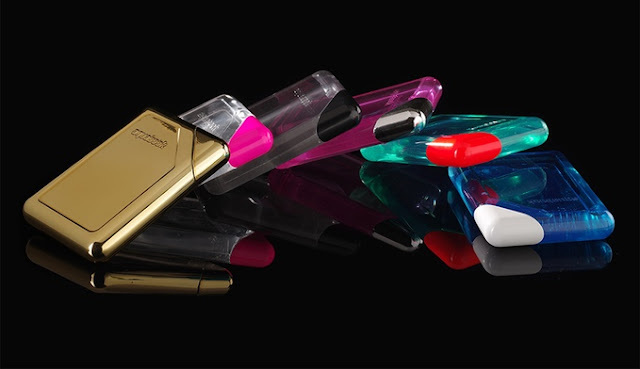 Stay Hydrated and Stylish with Aquabook! I always like to carry small bag because it's easy to carry and looks stylish with any of my outfit. But one thing I realised is that I could not carry my water bottle with me to quench my thirst. Hence sometimes I have to forgo carrying my favourite bag so that I could carry my conventional round water bottle. 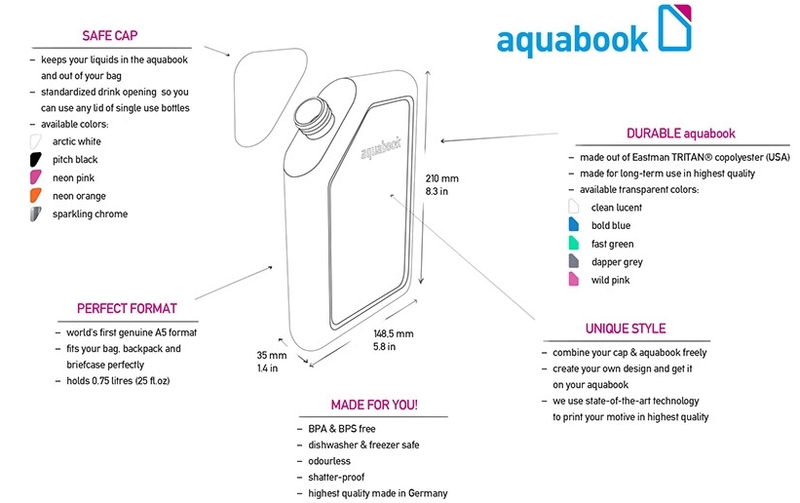 As I was wondering wh do all the bottles look the same, I stumbled on Aquabook. Aquabook was created by two young entrepreneurs from Germany, Felix Durst and David Ziegler who believe that education is the most powerful weapon in tackling the problems modern societies are facing today. Staying hydrated is crucial to maintaining brain activity. Studies show that drinking water can make your brain work faster. They realised that the global consumption of disposable water bottles increases by 10% every year and most of the bottled water in the U.S. is taken from municipal water sources, a.k.a. tap water, and then sold back to consumers at up to 10.000 times the cost of tap water. That explains why I do not like to buy disposable water bottle all the time and always prefer to bring my own bottle. With disposable water bottles of plastic bottles simply being littered by consumers today it has caused serious environment issue globally. Felix and David believe that they have created Aquabook to be the last bottle of your live. Aquabook is carefully design flat water bottle designed to fit any kind of purse or bag. From the first sight, Aquabook does look like a book as it is flat and rectangular in size like an A5 paper. It fits perfectly nice on our purse and handbag without taking too much space, plus it's really stylish to carry! Not only it's stylish for women to carry, even men can carry Aquabook in their briefcase. 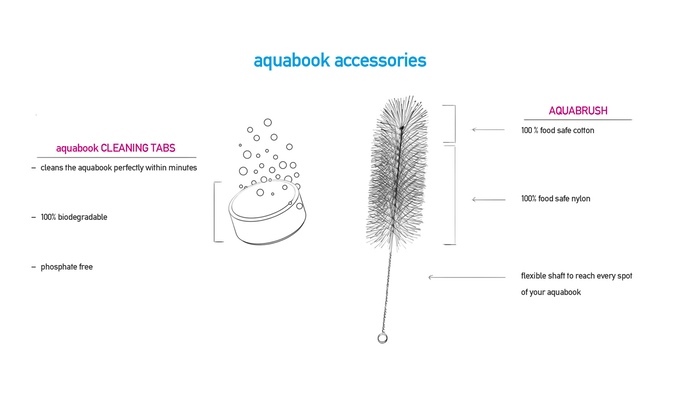 I like how Aquabook is customizable, convenient and reusable. It’s designed for people who want to carry their water bottle on the go. It is made with TRITAN® (Eastman Chemicals), a synthetic that is BPS and BPA free and recyclable, in a polymer specialized manufacture. 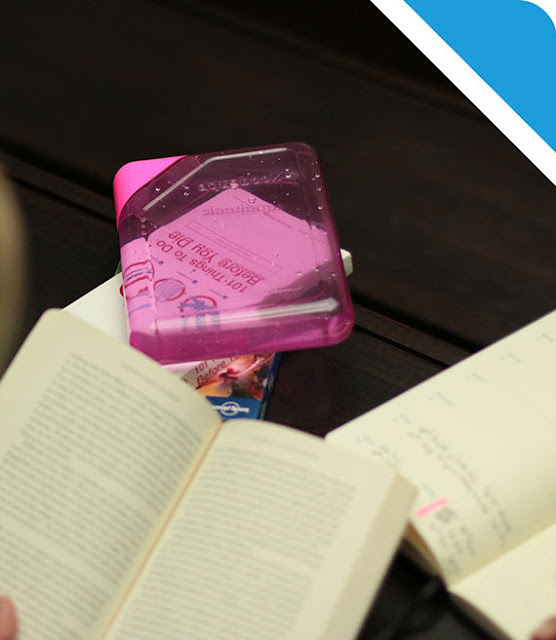 The technology of this provides temperature resistance, which means we are also able to fill our Aquabook with our favourite hot and cold drinks! 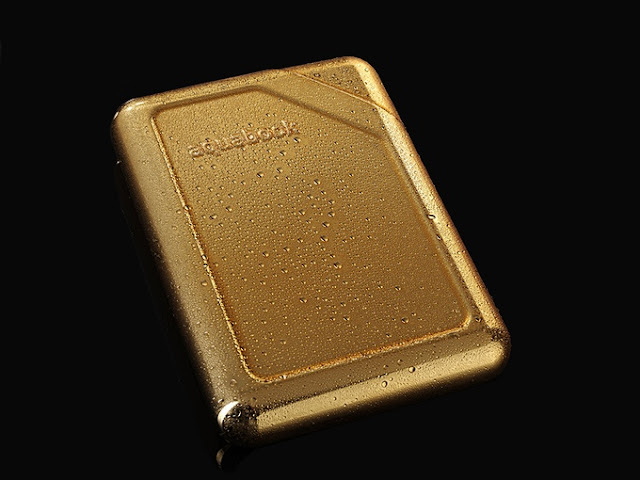 The Aquabook comes in five different colors and the special Gold Edition with different colour cap for you to match. There will be more colours to be introduced later on. One very unique feature of Aquabook that I like is that the cover is customisable to the way you like it by using an advanced UV digital printing technology. The labeling is not only affordable but also obtains permanent high-quality results. So basically you can print your favourite picture, pattern or statement making it your very own Aquabook, so awesome right! This would made Aquabook an ideal gift for your friends, or a good merchandise article for companies or clubs during birthday or Christmas! In case you are wondering how to clean Aquabook, they have cleaning solutions accessories made in Germany to help you to do the cleaning. Get this exclusive eye-catching special Gold Aquabook edition when you pledge a their crowdfunding campaign which runs on Kickstarter! I really like this Gold edition because it looks super classy and more importantly by using Aquabook instead of single use bottles, we be a part to save our Mother Nature from a lot of plastic waste.